Thousands of people descended on the port of Lossiemouth for the climax of its second annual Seafest festival at the weeekend. The week-long celebration attracted visitors from across the north-east who enjoyed live music events, sporting showcases and various demonstrations, stalls and food and drink stations. Building on last year’s debut, organisers hailed the event a success and estimated a crowd as big as 5,000 people attended Saturday’s finale. 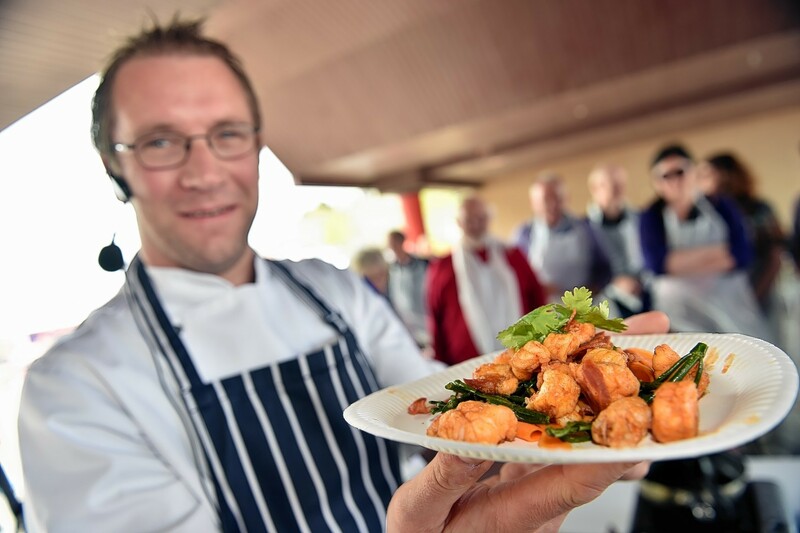 As part of the celebration of marine delicacies, Moray College hospitality lecturer Alistair Fowlie, of Personal Dining Services, was teaching the public how easy fish can be to cook by creating a monkfish, chorizo, samphire and vermouth dish. Speaking after the event, he said: “It was great. It was a really nice turnout and we got plenty of people coming to each of the sessions so it was really good. 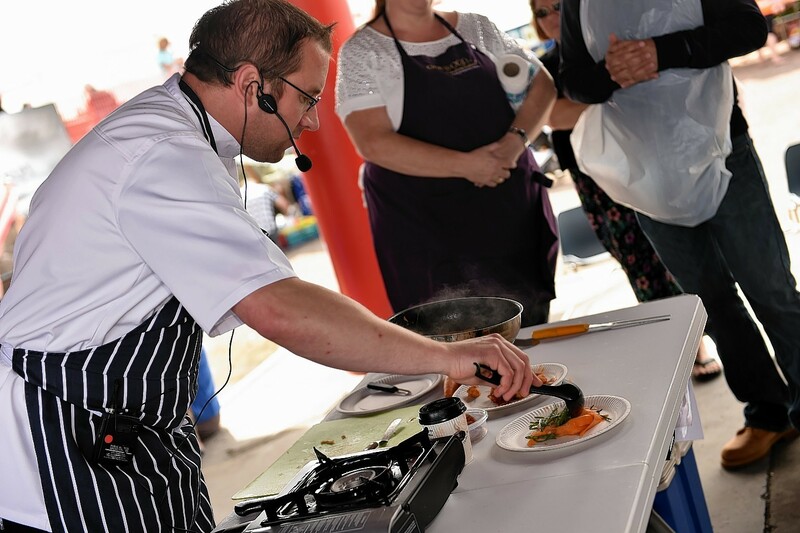 “The theme of the day was Seafest, so the idea was to demonstrate a fish dish that would show off some nice ingredients, but also show people that fish is something people can do at home. 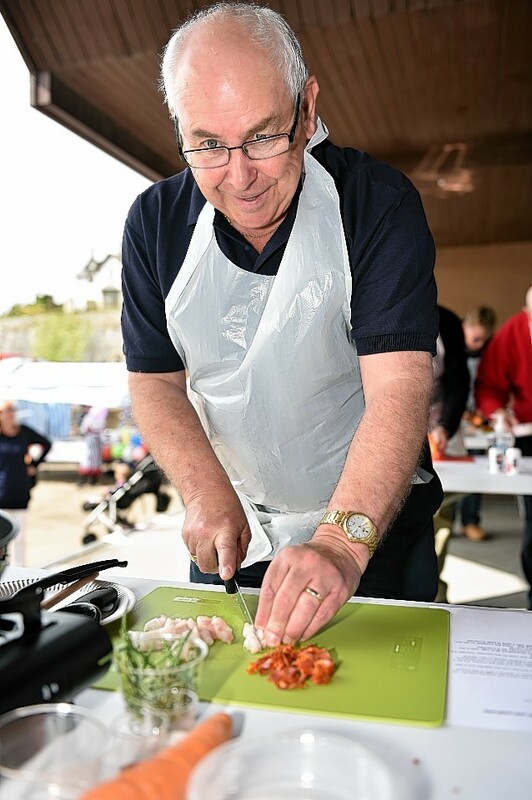 “We had 36 people cooking in the three sessions and a couple of the husbands who said they never cooked at home were keen to try the monkfish. “The festival certainly gets an awful lot of people through to Lossiemouth. People were coming from Aberdeen and further afield as well.